Since playing a leading part as Dave Horsefall in The Full Monty back in 1992, Mark Addy has felt like something of an adopted son for us Sheffielders. 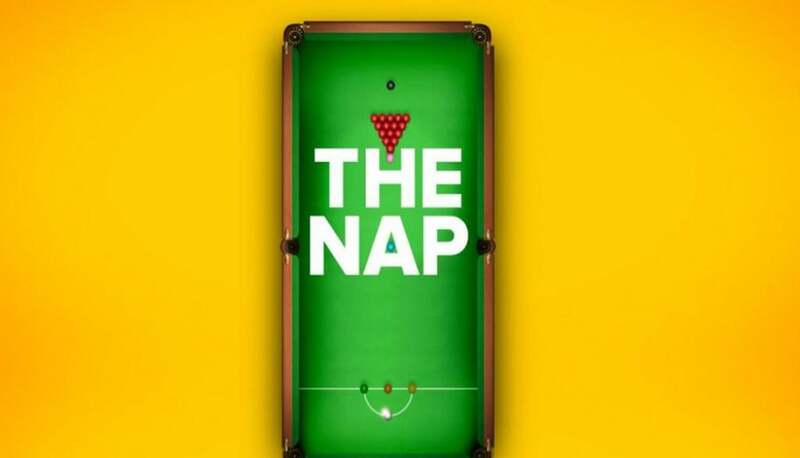 Now returning to the Steel City with his role in The Nap, a new play from Richard Bean about a young snooker prodigy played by Jack O’Connell, Tom Green-Fuller caught up with Mark and director Richard Wilson OBE to see how preparations were going. Obviously Sheffield and The Crucible have big ties to the snooker world. Do you think this will help bring a different crowd to the theatre? Yes, I think it will. Obviously the play is about snooker, and there’s no better place to perform it than The Crucible. We’ve got the difficult task of having to represent fact through fiction, if you know what I mean. And snooker is actually played in the show – we’ve got a full-sized table and everything! You’ve got some big ties to Sheffield yourself. 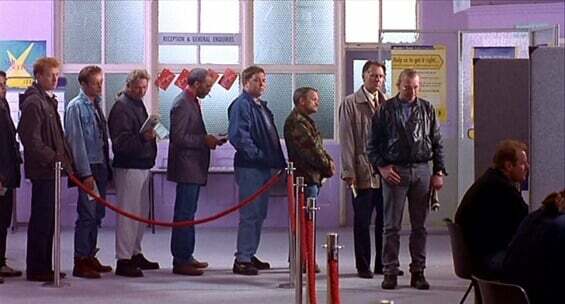 Have you popped back to visit Shiregreen WMC since filming The Full Monty? You know what, this is actually the first time I’ve come to Sheffield since The Full Monty – and that’s almost twenty years ago! But it is a great city and I’m definitely looking forward to popping back to Shiregreen. Are you a fan of snooker yourself? Do you play at all? I’ve tried playing snooker, but it’s just so difficult. I’m quite good at pool; however, I just don’t have the accuracy to be good at snooker, especially with the size of the table! I have a huge amount of respect for anyone who can break a 147 (or even a 146 if they don’t feel up to it). Co-star Jack O’Connell has said he thinks the world of snooker can be quite dark and foreboding, and the play is billed as a comedy-thriller. Does The Nap balance comedy and drama well? I think there’s always room for comedy in drama, and there’s always room for drama in comedy; it gives it more depth. I think The Nap does well to explore family life, as it’s very well-written, and I think it does a great job of balancing the comedy and drama. It’s also really interesting to explore the mind-set of the players because it’s such a strange profession. But I can see why Jack would think that: if you’re a snooker player, you spend all of your time in a dark room, with nothing but the thoughts inside your own head. You have to be used to your own company, so it’s a very strange profession to be in. How have you found the early stages of working on the play? Yeah, so we’ve only been working on the play for a week and a half, and that’s just been about getting a fuller understanding of the snooker and the betting worlds, so we’ve not really had the chance to get on our feet. It’s still early days. I’m really looking forward to using the rehearsal space in Sheffield, especially as we’re presenting something brand new. We’ve got Richard Bean here to help and change parts if we think it’ll suit better. It’s a real privilege getting to work closely with the writer as we get to hone our parts so we can make it the way he wants. I’m sure you won’t mind me saying that you’re one of the more veteran, experienced actors in the cast. Do you find yourself offering advice actor-to-actor? Oh God, don’t say that! *laughs* I don’t think the cast really need it – they’re just too good! I’ll be honest, I’d feel too embarrassed to offer my advice, but if they ask I’ll gladly give it. I think most of the time I’m keeping up with them, rather than the other way around! Tell us a bit about your character, Bobby Spokes? Well he’s the father of Dylan, the snooker-whizz main character. He built a snooker table in the shed for Dylan to practice on growing up. He was a decent amateur back in his day, but never really made it. Bobby comes from a rough, council estate area of Sheffield and has been involved with drugs and went to prison, but he’s reformed now. He’s obviously not a squeaky-clean dad, but he’s loveable. 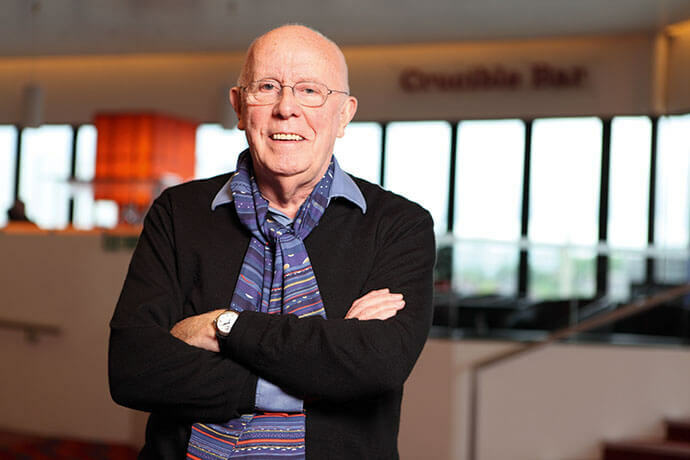 What’s it like being directed by Richard Wilson? Terrifying! He’s sat here right now and he’s glowering at me – he rules with an iron fist. *Laughs* Only joking! It’s been a fantastic experience, and he really encourages input from everyone involved. He likes it to be a very collaborative process. Have you got any projects planned for the future? No, not at the minute. It’s still early days with The Nap, so I’m focusing on that before I start with anything. It’s an unpredictable profession, acting. It’s really just as-and-when you can get something, and hoping it’ll be as good as the last thing. But I’ll be honest, so far The Nap is going to be a tough act to follow. At this point, the director – none other than Richard Wilson OBE – jumps on the blower for a chat. So, Richard, you’ve got some fairly big names in the play – do you get a sense of competitiveness when working with such a cast? Snooker professional John Astley is also involved in the play. Has his real-world subject knowledge been beneficial? John has been very helpful, yes. He’s coming up from Gateshead tonight to play snooker with Jack [O’Connell] at the R.A.C. Club. John plays the part of two different players, as snooker is actually played live in the show. That has been one of the problems with putting the play in Sheffield, as you need to find people who can both act and play snooker. I think we’ve found that with John. You’ve worked closely with Sheffield Theatres in the past, but what was it that drew you to this play? Yes, I’ve worked with Sheffield Theatres for the past five years and in my time as associate director I’ve been trying to get a production about snooker to take place at The Crucible, as it’s obviously the best place to do it. I asked Richard Bean to write the show and he came back with a very thoroughly-researched and well-written script, and I loved it. Do you think The Nap will tour, or do you think it’s the perfect city to showcase the subject matter? 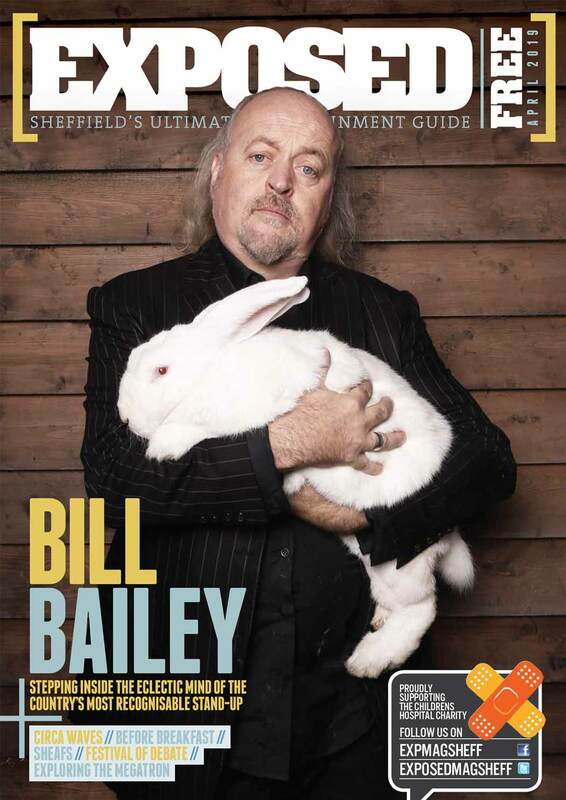 I’d like it to be bigger, of course, but it will be difficult performing outside Sheffield. It was a play that has been designed for the stage at The Crucible, so if we were to tour with it then we would need a fairly adaptable theatre space. But, if people come and enjoy it, then we might consider showing it at other places, but we’ll have to see. What do you think of the one week extension to the show? I’m very happy, especially as this is the first time the production has even come to the stage. We have a good cast and crew, which definitely helps. And I think the subject really helps boost the appeal. I think a lot of people who wouldn’t normally watch a play will come and see it. I’d really like to marry the two audiences of snooker fans and theatregoers, and this play is almost ready-made to do this. The Nap, a new play by Richard Bean, will show at The Crucible between March 11th – Apr 2nd. Head to www.sheffieldtheatres.co.uk for more info and tickets.